Somehow he must change that history. He must prevent the war. A war that will begin with a single bullet. But can a single bullet truly corrupt an entire century? And, if so, could another single bullet save it? This was an exciting read with unexpected plot twists, just when I thought the story was going in one/two directions it changed almost without warning, my preconceptions of the story ended up falling by the wayside. 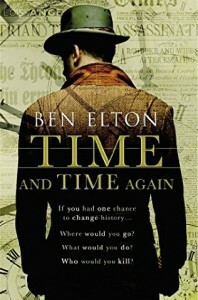 The main characters were not as fully developed as they could have been but the descriptions of the time(s) were very well done, you felt like you were in 1914 Germany. Although the ending left me wanting more I did not end up feeling disappointed, my imagination is filling the gap. It is rare for me not to be able to put a book down and I found myself reluctant to close the book…even when approaching my train station. 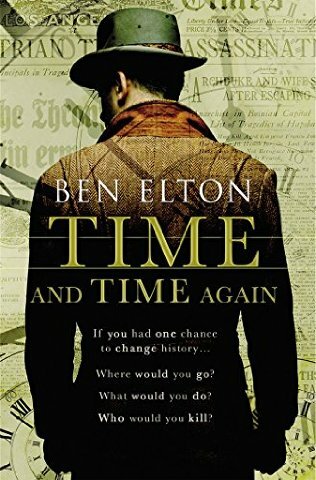 I would suggest this book to anyone wanting a time travel read with thought provoking ideas, great descriptions of time and place and surprise twists. This entry was posted in All, Fiction, Recommended Reading, Science Fiction by Parra Reader. Bookmark the permalink.